Staff Sgt. 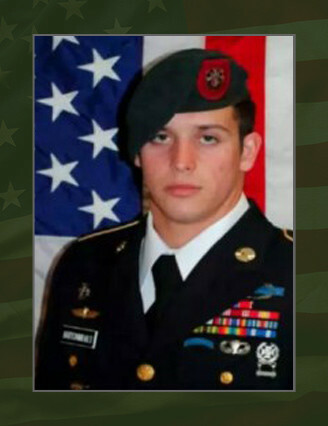 Andrew Trevor Britton-Mihalo, 26, of San Jose, Costa Rica, died April 25, 2012, in Kandahar, Afghanistan. He was assigned to Company B, 2nd Battalion, 7th Special Forces Group (Airborne), Eglin Air Force Base, Fla., and was deployed in support of Operation Enduring Freedom. Andrew Trevor Britton-Mihalo was born on June 24, 1986, in San Jose, Costa Rica. He graduated from Royal High School in SimiValley, Calif., and enlisted in the U.S. Army in 2005 as an 18X. Britton-Mihalo completed the Special Forces Qualification Course and earned the coveted “Green Beret” in 2008 as a Special Forces communications sergeant. Britton-Mihalo’s military education includes the Warrior Leader’s Course, the Advanced Leader’s Course, Survival, Evasion, Resistance and Escape Course, Basic Airborne Course, the Special Forces Qualification Course and the Intelligence course. Britton-Mihalo’s awards and decorations include the Bronze Star Medal, two Purple Hearts, Joint Service Achievement Medal, two Army Good Conduct Medals, National Defense Service Medal, two Afghanistan Campaign Medal-Campaign Stars, Global War on Terrorism Expeditionary Medal, Global War on Terrorism Service Medal, Non-Commissioned Officer Professional Development Ribbon with roman numeral two device, Army Service Ribbon, Overseas Service Ribbon, Nato Medal, Meritorious Unit Commendation, Special Forces Tab, Combat Infantryman Badge, Parachutist Badge, and Expert Marksmanship Badge. Britton-Mihalo is survived by his wife.